In addition to our club facilities, members also benefit from other services. Members can contact John Currie, a member of West Middlesex LTC for 25 years, to get their rackets restrung and serviced. He is a UK Racquet Stringers Association (UKRSA) certified Professional Stringer with many years’ experience, lives just a few minutes’ walk from the club and racquets can be left in the club office or dropped off directly at his home. Restrings are normally completed within 48 hours, though a 24-hour turnaround (or quicker if really urgent!) may be possible depending on availability. John keeps a full record of every restring so the next can be identical or modified precisely if required. To view some information regarding many of the factors to consider when restringing a racquet, please click on Factors to Consider. If you have any other particular favourite string or wish to try one not mentioned here please contact John and ask – most can be obtained within a few days. Squash and badminton racquet re-stringing also available – please ask for further details. 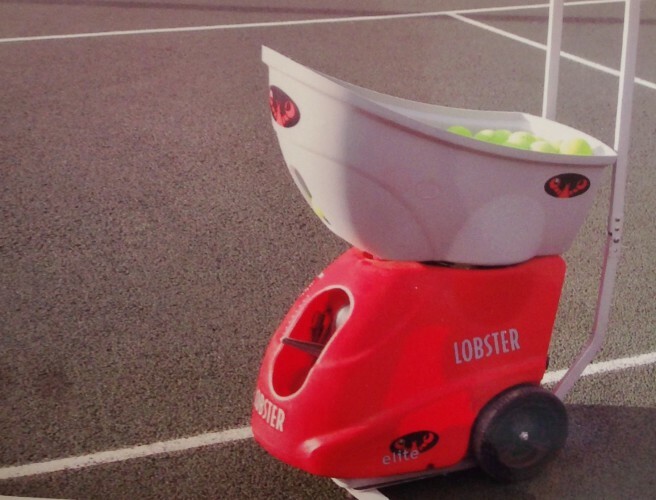 My name is Lobster and I’m delighted to join the coaching team at West Middlesex LTC. This is my first coaching job and previously I was in a cardboard box in an American warehouse. I can offer you a top class hitting session. By twisting my knobs and dials you can alter the speed of the ball feed, the spin and the interval of feed. With me you can practice forehands, backhands and volleys, without having to make small talk! And I only charge £2 per 30 minutes. If you’d like to take me out for a go, please ask Sue or the coaches. Pilates is a great way to tone up, improve your wellbeing and get fit, or maintain your fitness levels and flexibility. A well-rounded, functional workout will not only strengthen your abs and back, it also works your core the way it actually moves in real life. We twist, we bend, we rotate and our workout should be a reflection of those movements. The mix of exercises that we practise challenges all the muscles for a stronger, fitter core. If you are new to Pilates or would like to join, you are welcome to drop in for a single session or for extra motivation book a Block of Sessions at a reduced price. Venue: West Middlesex Lawn Tennis Club, 6 Berners Drive, Ealing W13 0JS. Alex Porter Physiotherapy is a mobile Physio and Sports Therapy service. They provide treatment in the clubhouse downstairs room. You can also find out more by consulting the physio flyer.